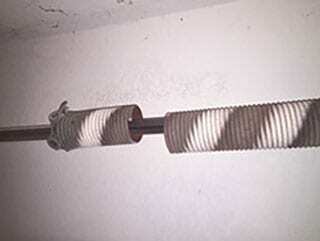 Installation and repair for garage door springs falls into two category types, torsion or extension springs. 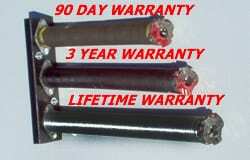 More importantly, the replacement or installation of garage door springs should only be handled by a professional. Garage door springs are high tension units and only qualified individuals should adjust or replace them according to National Safety Council warnings. 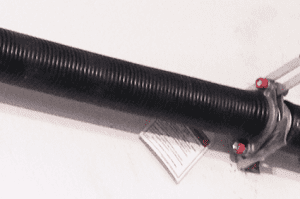 Torsion springs for garage doors are mounted on the wall with drums on either side of the tube designed to roll up the cable and work to lift the garage door. The springs lose power as the door rolls overhead. This action of the torsion spring is a measured rate known as inch pounds per turn (IPPT). We generally recommend replacing stock 10,000-cycle springs with a lifetime warranty, extended-life cycle springs. Our garage door technicians repair and install extension springs for horizontal ceiling tracks on sectional garage doors and one-piece door swings that roll up overhead once open. The most common extension spring system is for sectional garage doors as the one-piece door is no longer manufactured. Action Garage Door is experienced in all forms of garage door extension spring installations. Our Repair Specialists Are Ready to Serve Your Business! Call us at 713-222-1500 | 281-752-7100.